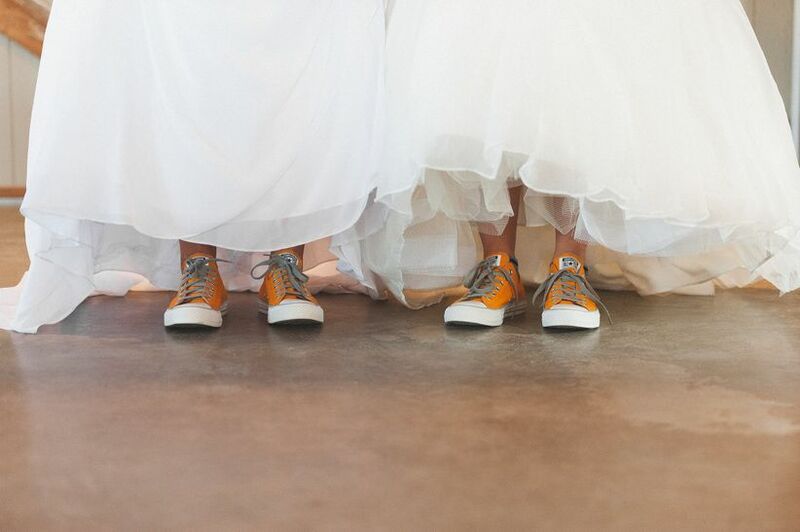 From head to toe, consider choosing comfort over style on your wedding day. If you’ve paged through wedding media of any kind sometime within the past seven years, you’re familiar with the Valentino “Rockstud” stiletto. Sparkling up at you from your iPad screen, the strappy spike-heel, with its candy-coated patent leather and gilded pyramid studs, is as ubiquitous these days as a flower crown, and shiny as a FL-grade cushion-cut diamond. They are, equally for brides both style-savvy and just going through the motions, “life.” And they look uncomfortable as all hell. That oh-so-pointy toe. Those diggy-inny straps. That pencil-thin, sky-high heel! 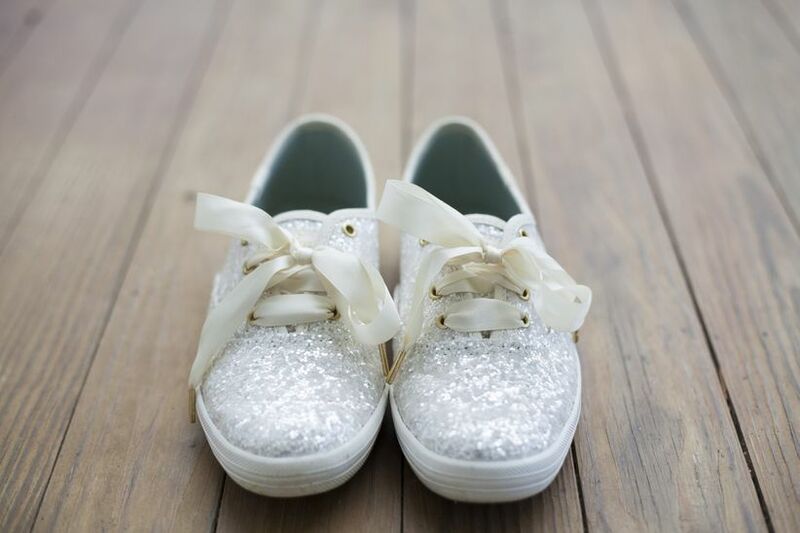 That’s one walk down the aisle I could never bear to take, no matter how gorgeous the shoes (or groom). Not to mention, there’s a 98 percent chance those lovely heels are going to be 98 percent covered by a full white skirt 98 percent of the day, leaving the feet underneath to silently suffer alone for no one to see but a photographer, once. So, why exactly are these shoes basically de rigueur at this point for any bride worth her (pink Himalayan sea) salt (favors)? There is a compulsion when styling oneself for one’s wedding to put comfort dead last on the list of priorities. I remember falling in love with a backless, single-layer satin gown early in my dress-shopping days, then spending the following evening googling every possible format of shapewear that would smooth out my bod in the front without exposing itself in the back. I was considering hiring an architect and devising a sophisticated system of ropes and pulleys when my mom had to snap me out of it by suggesting, “Shouldn’t you find a dress that’s a little more… comfortable?” Lesson learned (though I still think about that satin number fondly). Still, it’s an easy lesson to forget when you’re planning what’s talked up as the most important outfit of your life. So you think, screw it, I’ll wear the itchy clip-in hair extensions, I’ll stuff my feet into the designer torture devices—small prices to pay to look my best on my wedding day! Only, you won’t look your best if you’re flinching in pain down the aisle. Or teetering around on your stiletto stilts during your first dance with your new husband. Or tugging down your Frank Gehry-inspired shapewear contraption in half of your bridal portraits. There’s a better way—and I don’t mean wearing your ancient high school basketball sweats. For shoes, take full advantage of the cute and comfy trend we have been blessed with for the past few seasons: block heels. They give you all the height of heels with the comfort and walkability you love about flats, and because they are everything right now, you have about seventeen billion styles to choose from. Block heels will be especially perfect for an outdoor wedding (no grass-sinkage! ), but you could find some dressy enough for a fancy-schmancy ballroom ceremony, too! Look for next-level embellishments like 3D applique (from ASOS) or allover glitter (from Steve Madden). Not ready to give up that getting-ready detail shot you’ve been dreaming about for six months—the one with your Valentino Rockstuds thoughtfully arranged next to your wedding rings and your bouquet? You don’t have to, even if you opt into comfier (but just as cute) shoes. If you must, just pick up a pair of much-more-affordable lookalikes (these, for example), use them in photos, and wear your more practical shoes IRL. 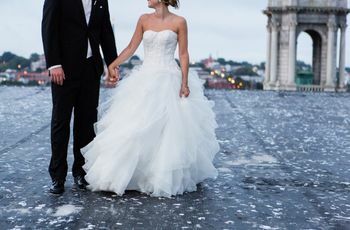 I’ll remind you one more time that your wedding dress will cover your shoes entirely (just be sure to wear the shoes you plan on wearing most of the day to your alterations appointment!). As for underthings, a good rule of thumb is: if you’re looking for a fitted silhouette, opt for a thicker, more structured fabric like shantung silk, which, especially when combined with the right amount of boning and strategic seaming, can be super-smoothing and not even require shapewear underneath at all. I, for one—used to trying on stretchy knit bodycon mini dresses at Forever 21 and hating that they show every single bump and crease in my body—was shocked at how much sleeker I looked when I put on a $2,000 heavy silk wedding gown. Quality of fabric makes a huge difference, so don’t buy into $5,000 worth of Spanx just yet! 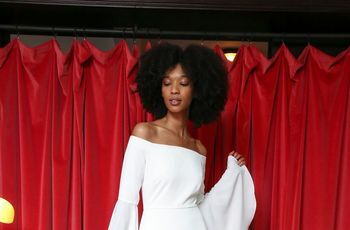 On the other hand, if you die for that flowy, boho, diaphanous look, you may do well to lean toward an a-line silhouette (under which you could likely go shapewear-free! ), because a curve-hugging dress in single-layer silk, as I mentioned, is, for most of us mere mortals, a comfort mulligan. One more note on optimizing the comfort of your underpinnings—double-stick tape is your friend! If you’ve never tried it, don’t be afraid. When applied correctly, it’s 100% unnoticeable, and will make it so your dress doesn’t budge (which means no obsessive tugging and adjusting, and no unfortunate neckline malfunctions in front of your distant cousins). When choosing your tape, skip the girly-girl stuff they have at Sephora, and make like the pros: Get toupee tape (it’s a thing!) As for removing the stuff post-nuptials, though, sorry—I have no comfort tips for that. Except whiskey. The final comfort variable has to be hair. With the right stylist, you really shouldn’t have to worry about your hair on your wedding day—wedding stylists somehow (sorcery?) know how to construct wildly intricate updos but shellac them so thoroughly that they remain fully unmodified between 6am and midnight, come rain, snow, humidity or emotional meltdown. 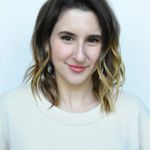 But choosing the right style for your hair type is something your stylist can’t do for you, and that’s where a crucial comfort mistake can be made. There is one tip to be given here: If you have fine hair, or hair that reacts violently to humidity and you’re getting married in the summer, or hair that isn’t overall cooperative, do not wear it down for your wedding. It’s not worth the risk! 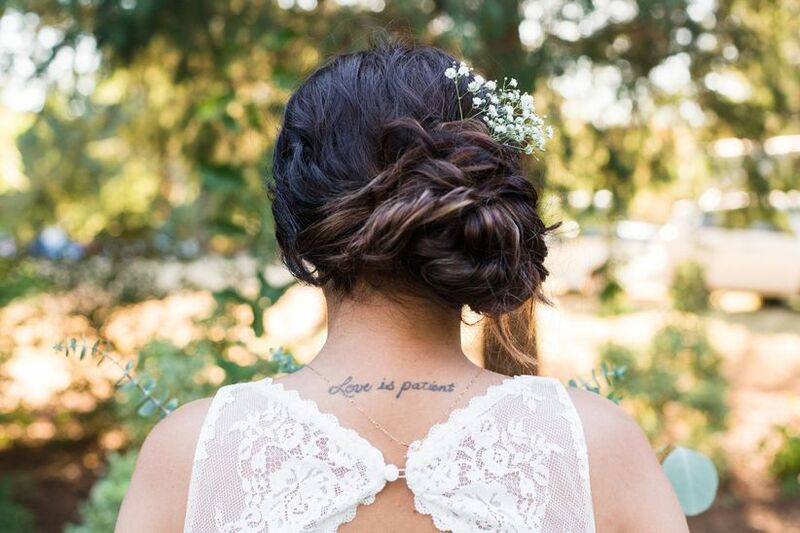 We all want to be that bride with the perfectly undone beach waves, yes, but updos are just as beautiful, plus offer major opportunity for accessorizing. And with an updo, you don’t have to worry about curls coming undone, hair sticking to the back of your neck, volume deflating, etc., etc., etc.,—need I go on? Pin a long, swishy veil into your updo for the same effect as long, swishy hair, then dance your heart out in a monsoon if you like—that look ain’t going anywhere. Sensing a pattern? Overall, comfort on your wedding day comes with a bit of compromising with yourself. But in no way does it mean you have to downgrade your style. And it doesn’t mean you’re a lesser bride. It means you’re making the decisions you need to make to have your best day ever, one during which you’ll be focused on the things that matter, rather than on the things that are pinching you, annoying you, falling off of you or itching you. All especially essential if the best man’s speech is less-than-comfortable (take it from me).